An app to satisfy all your Fishing's needs, developed with the help of professional fishermen. 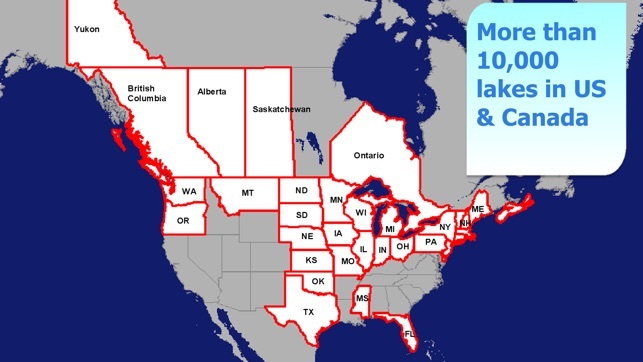 You will be able to download the best maps and enjoy your new fishing season. 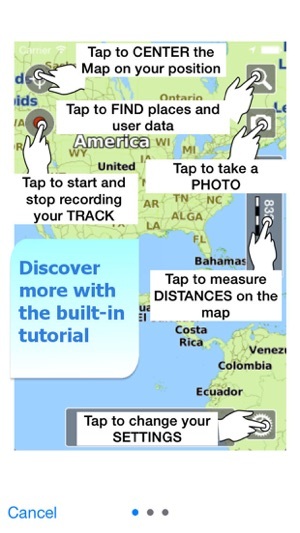 Press the RECORD button, put the phone in your pocket and record your fishing trolling track....and much more. 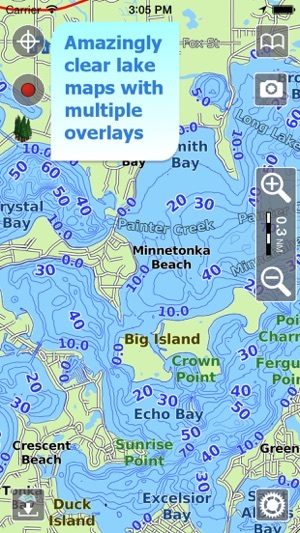 Aqua Map lets you download maps with depth contours, boat ramps, etc. but also a complete Topographic map with road network, trails, elevation contours, lakes, rivers, etc. and all it is necessary to enjoy your best fishing experience. 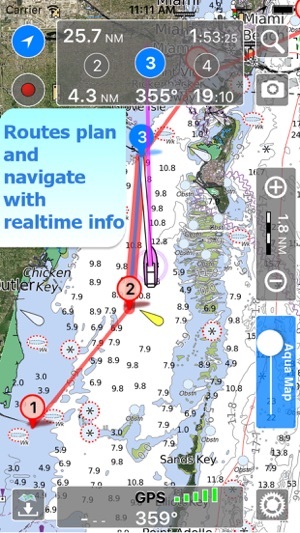 You can download the maps at home within your device and then use them on the boat without any Internet connection. 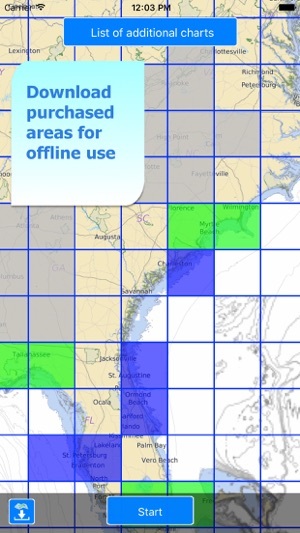 This map mode will greatly extend your display; you will have the details you need for a safe navigation, seamlessly integrated with a large overview area. 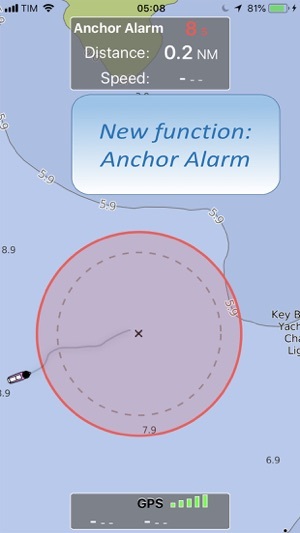 The map will display an area 64 times larger maintaing the same level of detail around your boat. 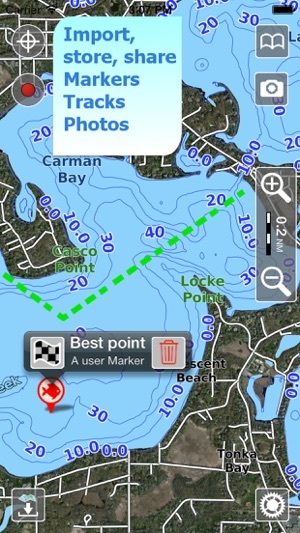 Unlike many other apps, Aqua Map is designed to use at the best the battery power. Its Battery Consumption Monitoring will stop the track recording when the battery is too low, in order to ensure the phone is still usable at the end of your navigation. - Subscription: it is an year auto-renewable subscription, it will automatically renew (at the same cost) unless auto-renew is turned off at least 24-hours before the end of the current period. Account will be charged for renewal within 24-hours prior to the end of the current period. Subscriptions may be managed by the user and auto-renewal may be turned off by going to the user's Account Settings after purchase. Mu previous rating of 2 stars was just to get your attention. This is my real rating. 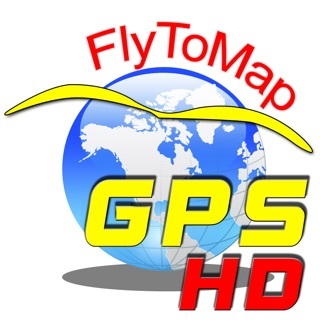 the purchase covers the maps download (and update) for the related area plus it removes some limitations on the number of Markers, Tracks and Routes you can store. As you have seen you can buy a "forever" option or a "1 year subscription" option, the forever means you will have the possibility to download and update the maps related to the purchase forever, whereas for the subscription you can do it for 1 year. 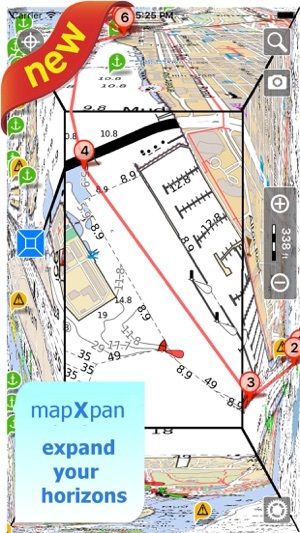 If you have any other doubts please contact support@globalaquamaps.com we will be free to help you, meanwhile may I ask you why you gave only 2 stars to the App, is there something we could improve ?